Hammelmann Australia welcomed customers from right across Australia to our inaugural Demonstration Day recently. 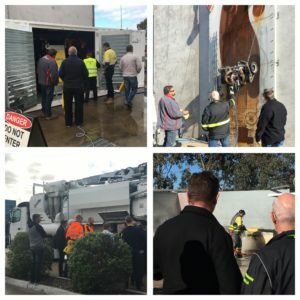 New technology including the first Australian ES3 controlled HDP500, magnetic spiderjet, KOKS CycloVac DG-rated vacuum truck and Masterjet rotary nozzle were on display. Thank you to everyone who participated in the event!